When it comes to owning a pair of headphones, there are many different kinds of factors to take into consideration. After all, one’s budget would automatically carry a limit to the kind of models that one can choose from, but here is something from Rand McNally that might just help you make that decision without any further doubt: the ClearDryve 200. 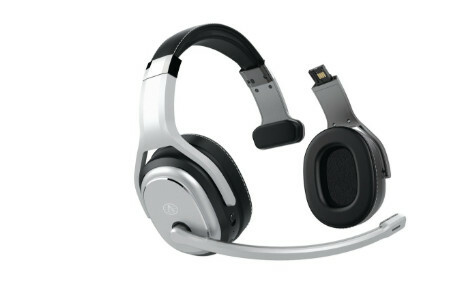 The ClearDryve 200 is a breakthrough premium stereo headphone and noise-cancelling mono headset, all rolled into one. Not only that, it is also wireless to boot, ensuring that you are free to live an untethered lifestyle no matter where you go. Specially developed by Rand McNally engineers and designers, they have also gotten hold of audio experts from across multiple continents in order to churn out the ClearDryve 200. It comes with professional drivers and basically comprises of two high-end products, where it delivers superior wireless stereo headphones with impeccably rich and clear sound. To make matters more interesting, you can also remove an ear cup and position the high-quality boom microphone in order to transform it into an exceptional headset that eliminates with more than 90% of the surrounding ambient noise, now how about that for innovation? It is not only flexible it was mainly developed for professional drivers. The headphones boast of plush ear cups that are made of memory foam, where it is covered in a soft, oil-resistant material so that one can wear it all day long without suffering from any kind of discomfort. With active noise cancellation, it blocks the most disruptive noises in a truck’s cab, especially the wind and the roar of the engine. This helps preserve hearing through a different method since there is no need to crank up the volume. Bluetooth connectivity will let you hook it up to your smartphone, remaining connected and mobile at all times. It has a battery life that can last for more than 20 hours of talk time and 500 hours of standby time, making this a great addition to any driver’s arsenal.